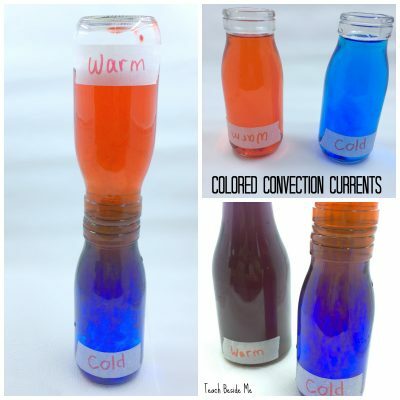 We are recently tried out a fun and simple experiment called colored convection currents. 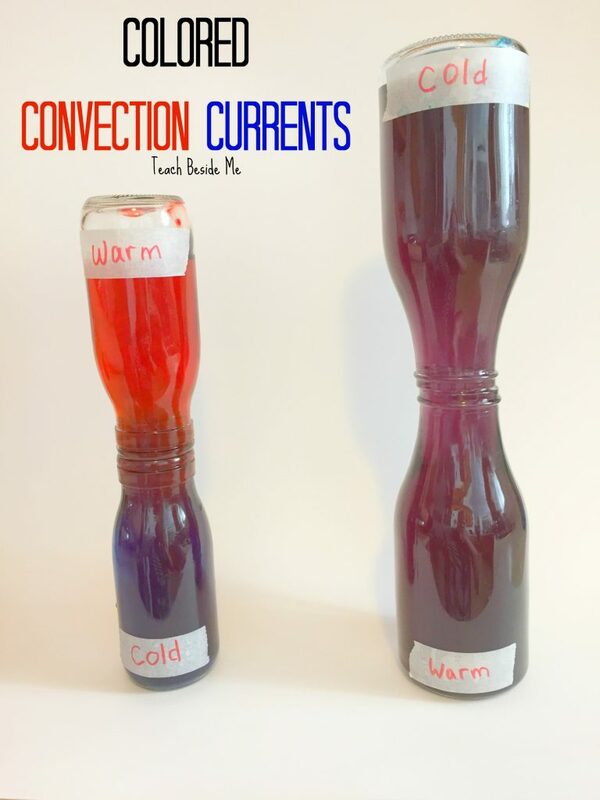 Have you heard of a convection current before? Convection is the movement within a liquid when the hotter and less dense liquid rises, and the colder, denser liquid sinks due to gravity. This results in a transfer of heat. Heat can be transferred by convection when there is a big difference in temperature between the two different liquids. 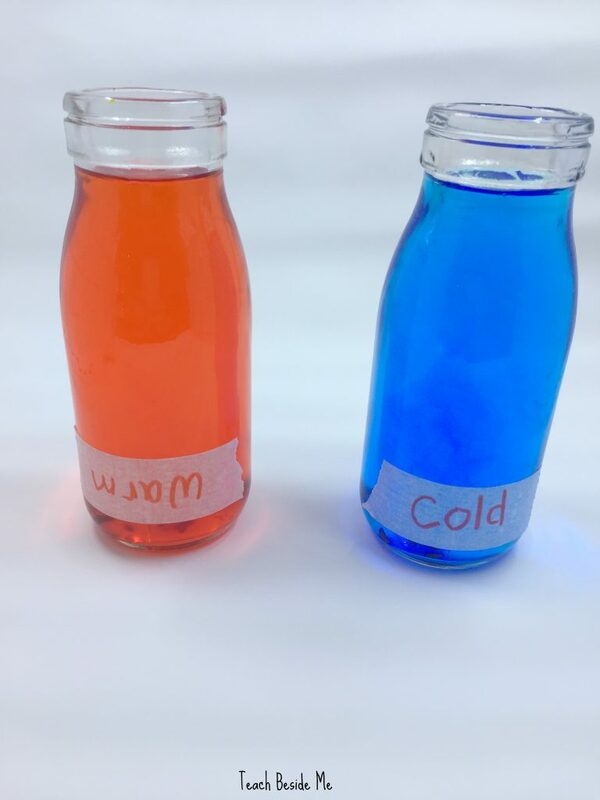 If you take two bottles of water colored with food coloring, one with cold water and one with very warm water, you can create a current that is really fun to watch! The current will look completely different depending on whether the warm is on top or the cold is on top. We did it at the same time with four different bottles. 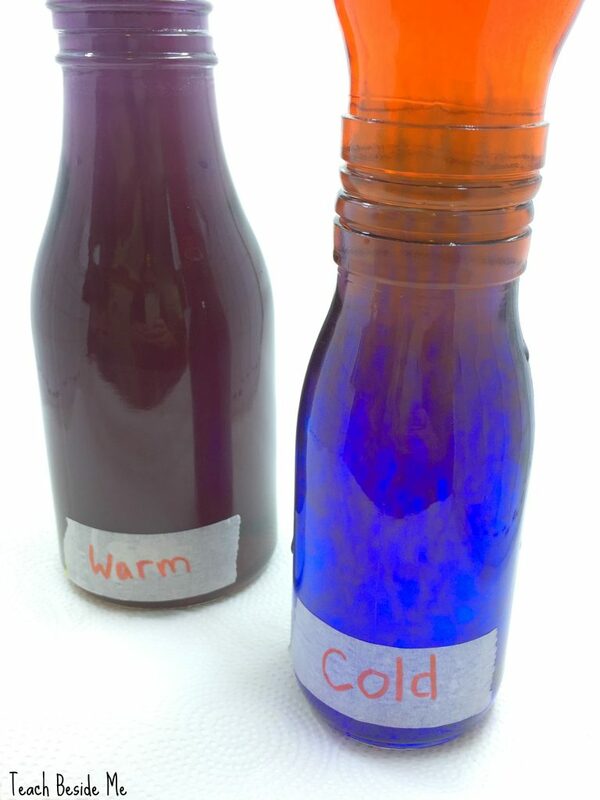 I made the cold water blue and the warm water red- so you could see the heat rising and mixing. Place a notecard or playing card on top of the bottle that you are going to flip over to hold in the water. There may be a few drops of spilled water, so be prepared for that! To see both at once, leave warm on the bottom for one and cold on the bottom for the other. 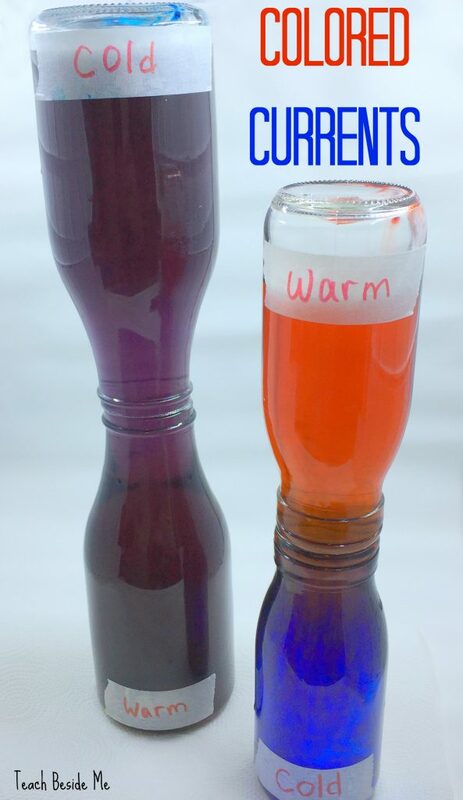 Once the bottles are on top, pull out the card and you will see the water with the warm on the bottom quickly rise and mix into the cold water. For the one with the cold water on the bottom, it barely mixes! 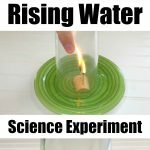 Try this convection current experiment someimte . 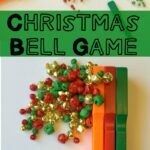 It is SO fun & easy. 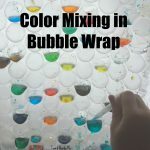 Experiment with different colors, too! 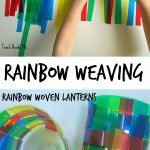 Idea inspired by Steve Spangler’s experiment.